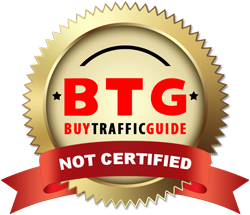 Although BuyRealTraffic.Net is offering non-tangible irrevocable goods we issue refunds. We offer a refund in cases where the service is canceled or the terms are not fulfilled, you may contact us to receive a full refund of the purchase price. We offer a 30 day money back guarantee. As for some reasons our traffic is not properly recorded by Google's System. However we don't experience any problem in connection with any other counter provider on the entire web. Thus, we reserve the right to require proof that the proper number of visitors were not delivered. In same cases BuyRealTraffic.Net can give bonus traffic to the customer but if the customer cancels the order at any time, he/she cannot refund the bonus traffic. The customer can only refund the main part of the order.